Today is my son’s 16th birthday, and I do have a gift for all of you, not just for him. I present to you a first preview for Slackware, of the KDE Frameworks 5.1.0 libraries, combined with Plasma 5.0.1, the next-generation desktop workspace from KDE. I wrote about this in my previous post, but now you can experience it first-hand: Plasma 5.0 improves support for high-DPI displays and comes with a “converged shell”, i.e. one Plasma codebase for different target devices like desktop computers, laptops, tablet, phones etc. Plasma 5 uses a new fully hardware-accelerated OpenGL(ES) graphics stack. Plasma 5 is built using Qt 5 and Frameworks 5. And with the Breeze themed artwork and its own Oxygen font, this desktop looks clean and modern. If you want to start an application quickly, use the new KRunner (usually hidden behind Alt-F2) which will now be activated directly when you start typing when your desktop has the focus. I think it worked out very well that I waited with my packages until after the first bugfix release of both the Frameworks libraries and the Plasma programs. The latest sources provide a much stabler desktop with more functionality. Still, we are only at the beginning of KDE 5 (or whatever the name for the software compilation will end up being). KDE 4 will be here for a while and developers are busy porting their applications away from Qt4 and kdelibs, to the new Frameworks libraries based on Qt5 and QML. Give it a year to mature and then we will be able to leave KDE 4 behind, is my guess. These new packages are only going to be useful if installed on top of Slackware -current and my KDE 4.13 packages (plus dependencies). KDE 5 is still very much a work in progress and needs the KDE4 applications and artwork to provide you with a fully functional desktop. I created a repository URL that you can use for slackpkg+ or slapt-get or whatever package manager you use. The URL http://taper.alienbase.nl/mirrors/alien-kde/current/testing/x86_64/ (for 64-bit) and http://taper.alienbase.nl/mirrors/alien-kde/current/testing/x86/ (for 32-bit) will remain permanent, even when the versions of the software gets updated. Currently “testing” points to “5.0.1” in the repository because that is the current version of Plasma 5. As always, the accompanying README file contains full installation & upgrade instructions. Note that the packages are available in three subdirectories below “kde”, instead of directly in “kde”. This makes it easier for me to do partial updates of packages. The subdirectories are “frameworks” “plasma” and “plasma-extra”. Note that the new Plasma5 packages do not upgrade any package from my KDE 4.13 set, although they will upgrade several Slackware original packages. Be careful when upgrading Slackware packages afterwards. Slackpkg+ will help you, if you add the above repository URL to the slackpkgplus.conf file and give these packages higher priority than the Slackware originals. If you decide to remove the Plasma 5 packages but not KDE 4.13 (or whatever latest version of KDE I have in my ktown repository), be sure to re-install two packages at least: akonadi from my ktown repository and harfbuzz from the Slackware-current repository. I have taken great care to ensure that the configurations for the new KDE5 are not overwriting your old configuration files for KDE4. New configurations will be written to ~/.local5 , ~/.cache5 , ~/.config5 and ~/.kde5 . That way, you should be able to go back to your stable KDE4 desktop without ill effects after having played with KDE5. Download locations are listed below (you will find the sources in ./source/5.0.1/ and packages in /current/5.0.1/ subdirectories). Using a mirror is preferred because you get more bandwidth from a mirror and it’s friendlier to the owners of the master server! When you switch back to KDE 4, in some cases, all the icons in the Applications tab in the KDE Menu will change to a blue folder icon. Solution: reinstall KDE 4.13.3 packages, log out and login again. That will fix it. Adding a new entry to the KDE Menu using the Menu Editor sometimes does not seem to work. Solution: Logout/login and the changes you made will appear. This happened to me and Willy -but only the first time we tried it. After that first time, all seems to work normally. HPlip shows an error message about not finding a system tray area. The reason is because the Plasma 5 workspace does not implement the X11 “Xembed” protocol. The system tray area works differently now. Not just HPlip, but all other applications that are not part of Plasma 5, will have this issue, but only HPlip shows an error. You will not see any icons for Dropbox, SCIM etc… as they don’t have a place to dock. Solution: There is a short-term solution which is not elegant, but it gives you back your old systray ocins. Use third-party Xembed system tray implementations like stalonetray or wmsystemtray . I have stalonetray in my own repository, and both are also available at SBo. There are now two SystemSettings programs. One is part of Plasma 5 and the other is the one from KDE 4. The Plasma 5 version is found in the “Favorites” tab of the K-Menu, while the one from KDE 4 (which is more complete) is available in the menu as “Applications > Settings > System Settings“. The Plasma 5 version is not yet feature-complete. Certain conditions may crash your Plasma Shell. E.g. typing in the Search field in the K-Menu “Favorites” tab and then removing that text will crash plasmashell (your desktop goes black), fortunately it will restart automatically. KRunner (Alt-F2) will not save your command history. Public holidays are not yet shown in the System Tray clock. See this URL for more information. Resource usage of this new desktop is currently rather high due to a design limitations in KWin, The cause is known and this will be fixed in future releases. In some cases, if your desktop becomes unresponsive, you might want to take a look at “top”. You may find that kded5 runs at 100%, eating all CPU resources available. Solution: Killing the kded5 process or logout/login will fix this. The updated harfbuzz package breaks the library’s ABI. As a result, LibreOffice 4.3.0 will no longer work (error looks like “symbol lookup error: libvcllo.so: undefined symbol: hb_icu_script_to_script“). The hardware keys for altering volume and mute do not work on a global level. They seem to work for some applications – VLC is one of them. Sound is working fine though. – In some cases, if your desktop becomes unresponsive, you might want to take a look on top. On my desktop, kded5 runs at 100%, eating all CPU resources available. Killing kded5 or logout/login is suffice to make the desktop becomes responsive again. I really want to try it, but my current machine is too weak for QEMU (my faster machine has been overheating lately, so I can’t really use it). Anyway, congratulations! And thanks for doing this for us. KDE 5 really looks great from what I’ve seen so far, it’s aesthetically a step forward, in my opinion. PS: Off-topic: can someone explain to me what the ‘8<' means (in the comment regarding the code to start sddm)? I've seen it before. Is this for/from some unix tool? It's probably a dumb questions, but as much as I'd like to be one, I'm no unix guru, unfortunately. I see also KDE4 apps without configuration. This is rather difficult. Otherwise, this is a solid release. Thanks Eric! Unfortunately it seems like KDE5 and libreoffice are incompatible for the time being. Effectively, downgrading harfbuzz to the stock library provided by Slack current fixes the issue with libreoffice. I seem to be having problems with my graphics card. I’m using the nouveau driver on an Intel i5 sandy bridge. (HD graphics 3000). SDDM loads, I select DM, user and type password and I get a black screen with a ‘native’ Xorg cursor. Jumping to a virtual tty, htop reveals that no services are blocking or anything that looks like a race condition. Any idea what I can try to resolve this? 1. As @Eduardo stated, the new harfbuzz library makes LibreOffice 4.3.0 stop to work. Downgrading solves it, as you already told me in a previous LibreOffice comment. As a feedback on the Slackpkg+ part, adding the new testing repo to slackpkgplus.conf works perfectly. I’m using this method here. Please only english on this blog. If I do not understand what is being said, I am going to delete posts. Further investigation yields nothing to my inexperienced eyes. Checked dmesg and found nothing. Also my google-fu is coming up short. I do have the dreaded Nvidia graphics card, that Mr. Torvalds so eloquently shared his thoughts on. I forget the name, the one that bumblebee is supposed to be a workaround for. I never kept bumblebee on my system and always used the Intel GPU instead. Just thought I’d add this information. Eduardo Campos is a Brazilian presidential running for elections that has passed away today in a plane crash. Marin Silva is her vice-presidential, now the main one, which is know to be gospel. I got it working by creating a new user and logging in as this user. What can I do to get it working on my regular user? I forgot to mention the Akonadi agents issues from the other post. Any advice or know issues with that? OK. I just copied all the my main users .kde/.local/.cache/.config dirs to .kde5/.local5 etc..
A quick question: can anyone suggest good configs for stalonetray? Right now it takes a good 16 px section at the top of the screen. Thanks in advance! OK. So after some testing, I am extremely impressed by how well Plasma 5 performs. My laptop has been plagued with high temperatures prior to installing these packages, but now it never feels warm even after hours of playing flash videos. 1. SDDM was very buggy and unpleasant for me. As described above, I got a black screen when I first tried starting a Plasma 5 session. I found an initial fix, but the problem returned once I rebooted my laptop and started up in runlevel 4. I got a black screen despite having all the necessary ~/. *5 files. I discovered that I could work around the problem by just logging into a virtual TTY and create a new user. When I hit ctrl-alt-f7 and tried to log on with my ordinary user, the Plasma 5 session started correctly. 2. Several SDDM buttons doesn’t work. The one’s that look like a power button and reload button doesn’t respond at all. 3. It’s also a bit annoying that the password textbox isn’t focused by default, so you have to use your mouse to click on it. I know it’s a small detail, but I find such details very important. I am under the impression that I also have to report such bugs here, since you have taken it upon yourself to get SDDM working with Slackware. Until these problems are fixed, I’ll be using GDM..
4. I am unable to find a global sound setting and the hardware keys for altering volume and mute does not respond. Sound is working fine though and I can always regulate the volume with alsamixer. Thanks for making these packages available to us Eric. Issues with my packages and experiences with the new Plasma 5 can be discussed here, but bugs in the software should be reported to the developers. I do not write this software and I can not fix your problems if those have their origin in the source. The non-working shutdown and reboot buttons in SDDM just require a reboot, or else try “/etc/rc.d/rc.nesagebus restart” to get them working. I have not “taken it upon myself to get SDDM working with Slackware”. It’s just that KDM will not appear in KDE 5 and SDDM is the likely candidate for its replacement. It’s only logical that I test its capabilities. Last year, it did not even work in Slackware due to a hard PAM dependency, but the developers were friendly and added shadow support upon request. They are not evil – they are pragmatic. I just hope that they do not make systemd a hard dep – that would be the end of its journey in Slackware land. The hardware audio buttons indeed do not work and I added that to the “known issues” list above. The install process for kde5 worked exactly as advertised. Thanks, Bob. i had no problems at all getting libre office-latest going on on kde5 after a full new upgrade to 64 -current. kde4 and kde5 do co-exist peacefully but there is some influence on kde4. one nice feature of kde5 is that one can turn off the bouncing icon that is cute but irritating if you just want to show some one something at work. I really like some of the kde tools and some of the bells and whistles that kde brings with it like the ease of multiple display management but I also like the raw simplicity of xfce so it is useful for me to have both. Ok, I have seen KDE5. Now I want to remove it from my machine. How to go about killing KDE5 without bollocksing up everything? Besides what’s written in the corresponding README, I’d suggest to uninstall everything from the kde5 release, and then reinstall everything from KDE 4.x series. Is it possible to add application’s icon to a panel? First of all: great job, as usual! 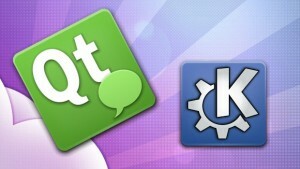 Just a question: it’s possible you’re going to insert qt5keychain package in next release? …’couse software like mirall doesn’t compile against qt5 without it. Mirall is not part of Slackware, so qtkeychain is not a requirement. Into my ktown repository I only add packages of which I am certain that they will end up in Slackware. I will have to add qt5keychain to my own slackbuilds repository once I start building mirall packages with Qt5 support. Perfect….I’ve just to wait for your mirall 1.6.x package! I installed packages for the x86_64 current, I have a collision from kactivities package, is it correct? Yes, same binary, does not matter which one is present, they will both support KDE 4 and Plasma 5. There was no clean way of separating this except for renaming binaries and splitting packages into sub-packages. Some distros do that but the author stated that one could be overwritten by the other without consequence. Are anybody here able to use the spell feature in krunner? I find this to be what I miss the most from stable KDE. That and the fact that I have two kwallet instances. 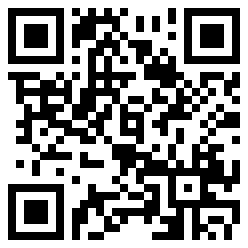 One for wifi passwords and one for the firefox kwallet plugin, which uses kwallet from KDE4. Does anybody know when the next release of the new KDE packages are to be released? Ohh, and just a heads-up for the few attempting to install this on a stable 14.1 release of Slackware.. The versions of xcb and libxcb* packages from current are needed..
Unfortunatly, on my system this started breaking the xfce-panel which seems to close for no reason ever since I upgraded those libraries from current (it could be something else, but I don’t really belive in coincidences). The SDDM developers are a very Slackware-unfriendly bunch. I have not updated it for a while, partly because newer versions stopped working for me and partly because the developers think that people rejecting systemd (like we with Slackware) are stupids. I’d rather stick with runlevel 3 and console login than keep trying to fix their crippled software.